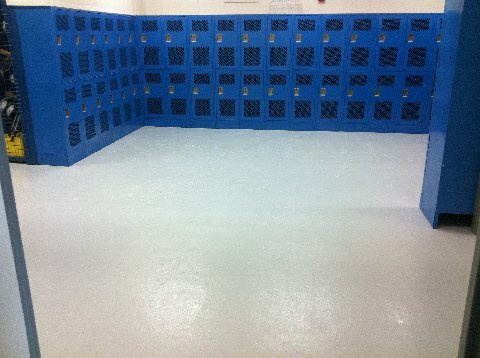 The newest rage in epoxy flooring! 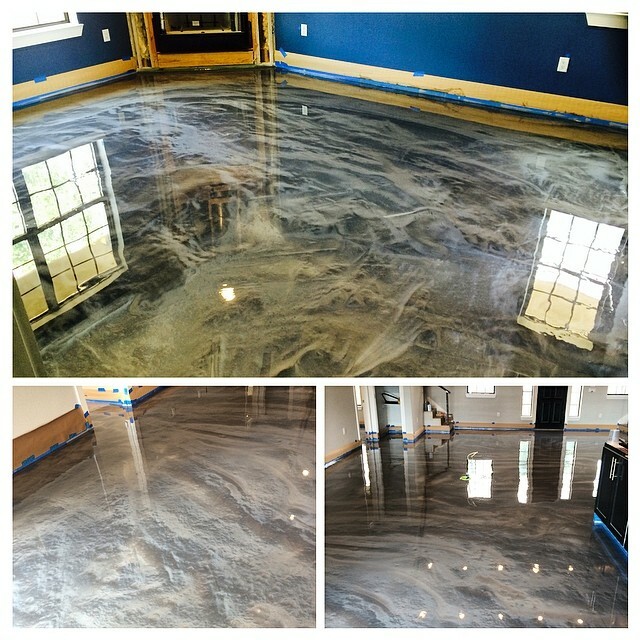 Designer Metallic Epoxy flooring creates a truly one of a kind look! 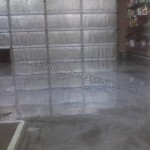 If you are looking for something truly unique, check out our Designer Metallic Epoxy Flooring Systems! 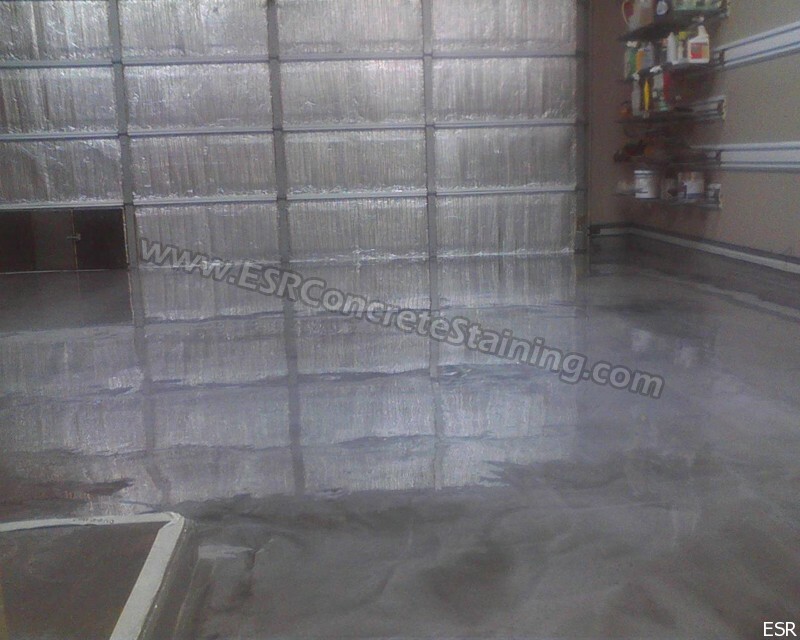 ESR Decorative Concrete uses 100% solid industrial epoxies that are extremely durable. 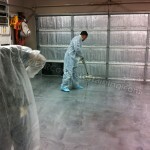 As the epoxy is applied the metallic additive is suspended in the epoxy as it cures and levels out. 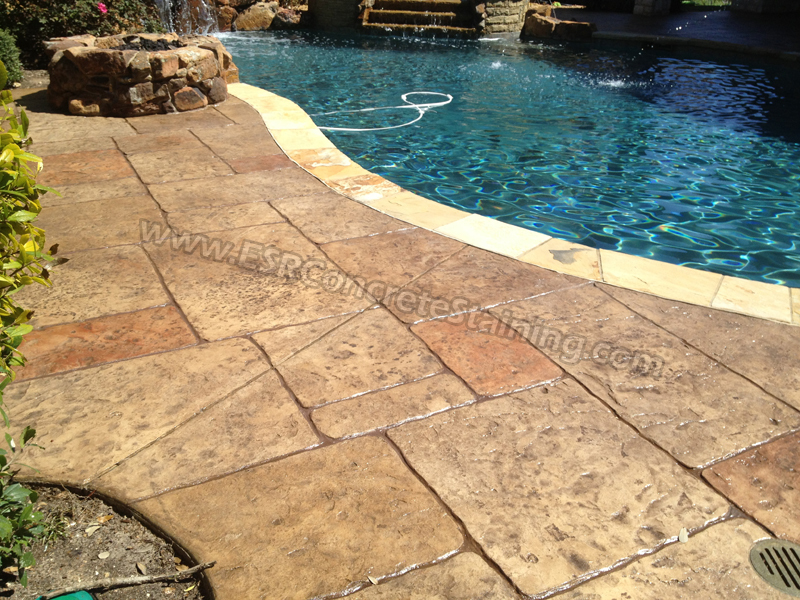 This create beautiful flowing transitions of color. 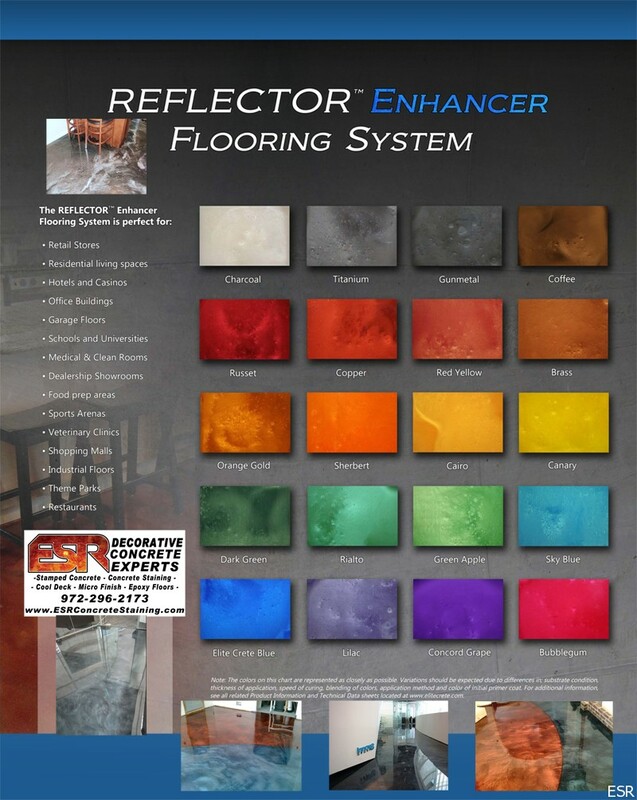 These floors are perfect for garage floors, showroom floors, commercial flooring, entertainment rooms, home interiors, and more! 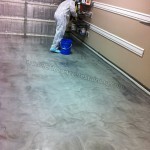 This floors meet ADA, USDA, FDA and OSHA standards. 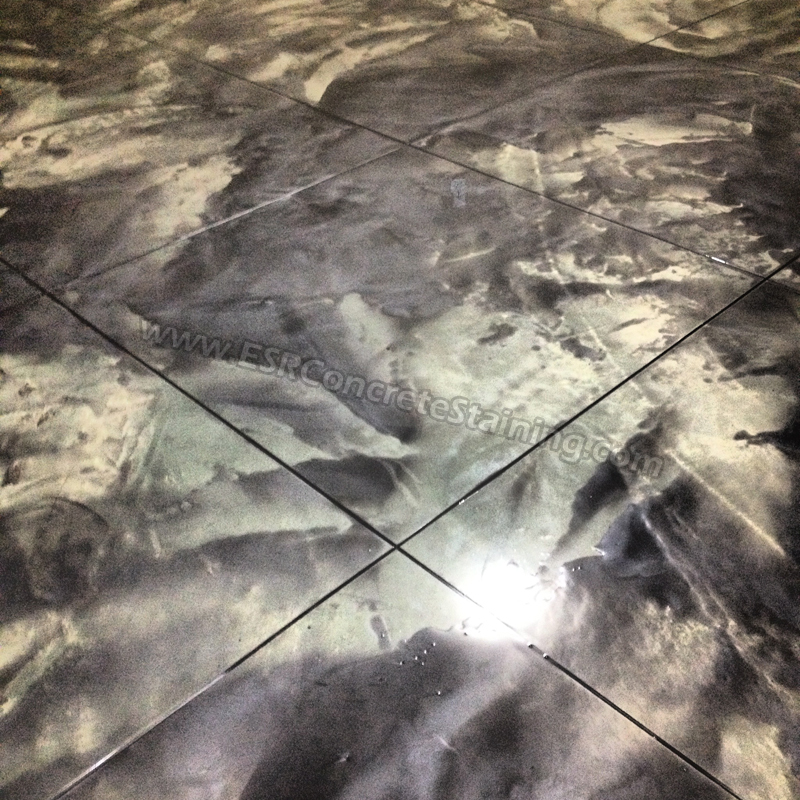 Our Metallic Designer Epoxy Flooring System offer excellent adhesion to various substrates. We also offer different top coat options for added strength and durability with a Polyaspartic top coat offer very high abrasion resistance, hot-tire pick up resistance, UV stability and excellent chemical resistance. 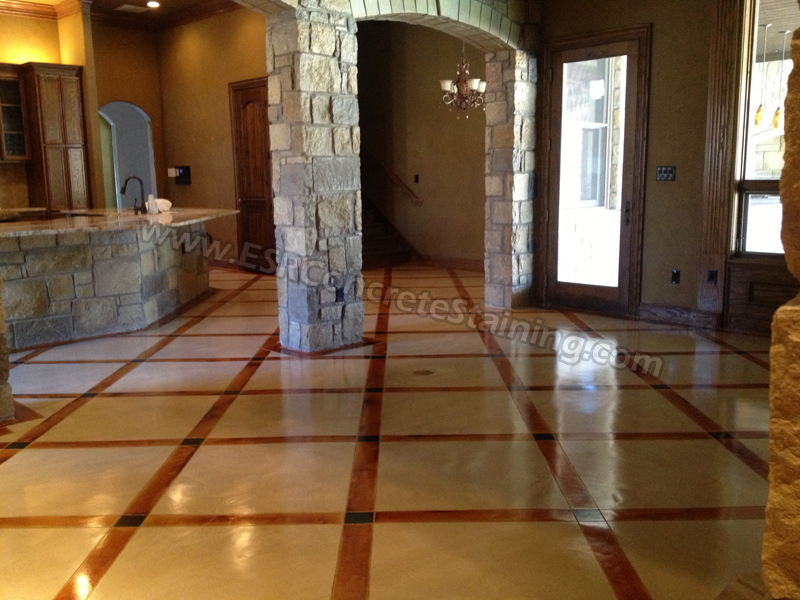 This epoxy flooring system is designed for use where long-lasting monolithic protection of decorative substrates is required. 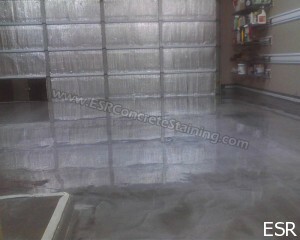 This garage floor was installed with a vapor barrier primer, then a solid light gray base coat. 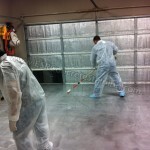 We then coated the floor with a clear 100% solid industrial epoxy with the color Titanium Metallic added to it. 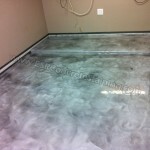 The floor was then top coated with a Polyaspartic coating for added protection.